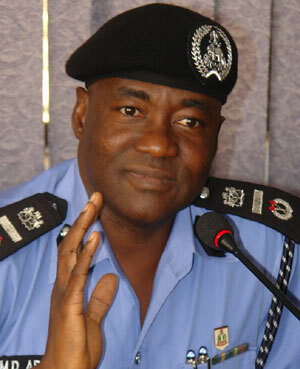 Emerald: 38 policemen and 8 FRSC officials to face trial for mounting roadblocks! 38 policemen and 8 FRSC officials to face trial for mounting roadblocks! 'They may be dismissed if found guilty" <------There is something wrong with that statement right there!! Dismiss them already!! How 'more' guilty can they get??. Well, i have seen some around Lagos recently too, are we allowed to report them? How about refusing to give them money at the checkpoints they set up with a line like...."Oga officer, this your road block is not allowed again oooo"? Seriously though, It is not surprising that the policemen are disobeying their Boss. These are the same people who have no regard for human life....half of the time they commit crimes and get away with it. They made the phrase 'accidental discharge' their excuse for trigger tasty fingers.